I’ve been getting lots of inquiries about how I create my videos so let me share this great new product here. If you are a Mac based business owner then you’ll probably have heard of ScreenFlow. But like anything new it can be a pain to learn it FAST when you are busy running your business. Plus, even if you know the basics, taking your videos up a level and adding some PIZAZZ can be hard! The fact is most Macpreneurs are not aware of how to use ScreenFlowto the MAX. Well here’s the solution ..and I found it just when I needed it. Brit TV Director (MTV/BBC) Jules Watkins turned Video Hero has a new training coursebto rock your socks. Whether you are a newbie or have some ScreenFlow experience already, Jules’s training will get you in the groove editing standout Videos that will leave your competitors in the slow lane! Go watch Jules’s Video right now that he edited himself with ScreenFlow. Jules shows you from A-Z over the shoulder how to edit a Video just like this for yourself. 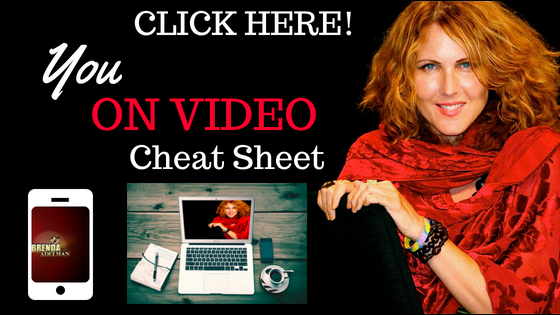 If you use your Iphone for videos- get Jule’s 30 page Iphone Video Marketing guide for free by CLICKING HERE! I have been asked over and over again how I have created my FB ads- which brought in new people to view my webinars and then sign-up for my programs. Well- the answer is – I didn’t figure it out myself. I couldn’t have. 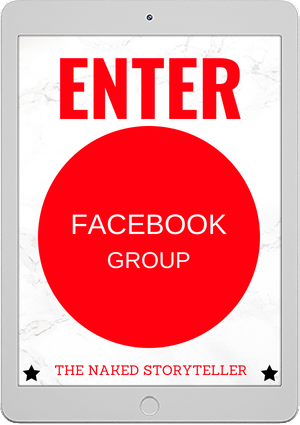 Get Absolute Facebook Ads and learn step by step what to do to get your first and next FB ad up and running. Claire is amazing. Ready to let go of an event from your past that is weighing you down, causing you to isolate and avoid intimacy? “My Father Killed My Mother and Married My Aunt: Forgiving the Unforgivable” is my true story. It’s a blend of memoir style writing with lots of juicy personal stories that I usually don’t share and a workbook to help its readers — YOU — experience direct results — FREEDOM from judgments of yourself and others. It’s a roadmap for HAPPINESS. Available as a Kindle book on Amazon. Just $2.99 GET YOUR COPY HERE! Have a free weekend? Want to write a book? If you have a book in you but don’t know how to start or how to structure it-you owe it to yourself to take Donna’s weekend program. Taking part of her Write a Book in a Weekend Event led directly to me writing and completing the first draft of my first book, My Father Killed My Mother and Married My Aunt: Forgiving the Unforgivable. I can’t tell you how many years I had been thinking of writing it—but it was years! I took this weekend class and it was done. Donna’s an excellent teacher and coach. Work side-by-side with Donna Kozick to write your book in a weekend. Are you an actor, writer, singer or performer? Check out the groupon site for those of us in the undustry! Some of the programs I recommend here may compensate me if you purchase through my link. Each one is very valuable. I only recommend what I believe in myself. In most cases I have purchased the product or program myself and still use it. Check everything out for yourself. And then pass the good abundance karma around!